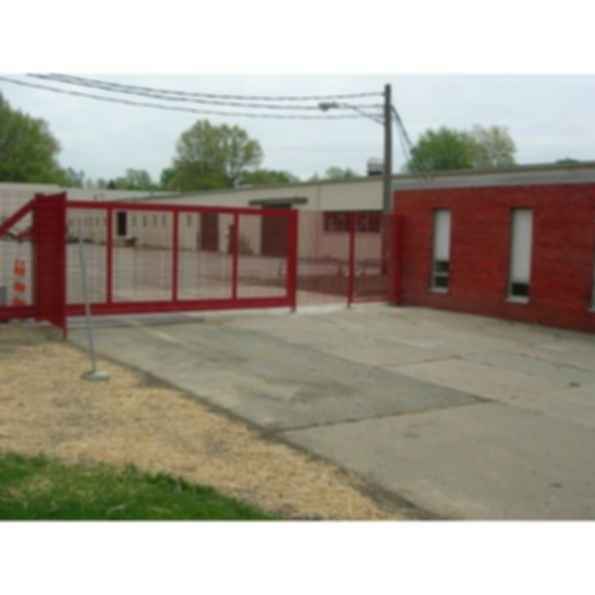 Ametco's custom fabricated gates are designed to fit your requirement. 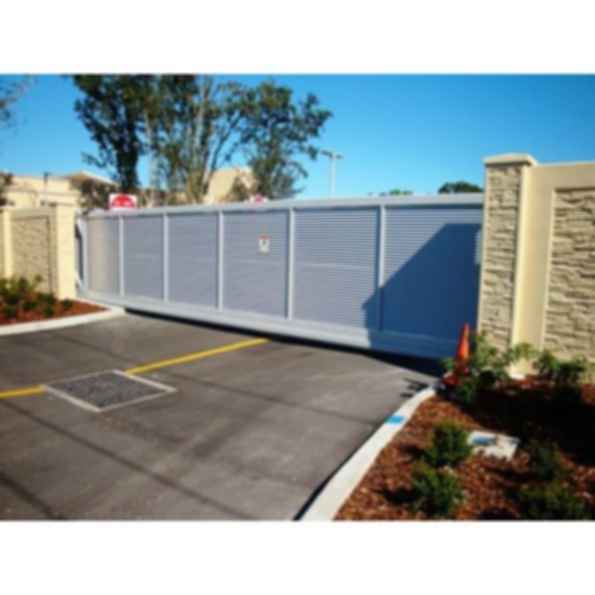 The extruded aluminum track with custom fabricated trucks Cantilever system and the cantilever steel or aluminum monorail systems make Ametco's Cantilever Gates perform smoothly even on the largest gates. 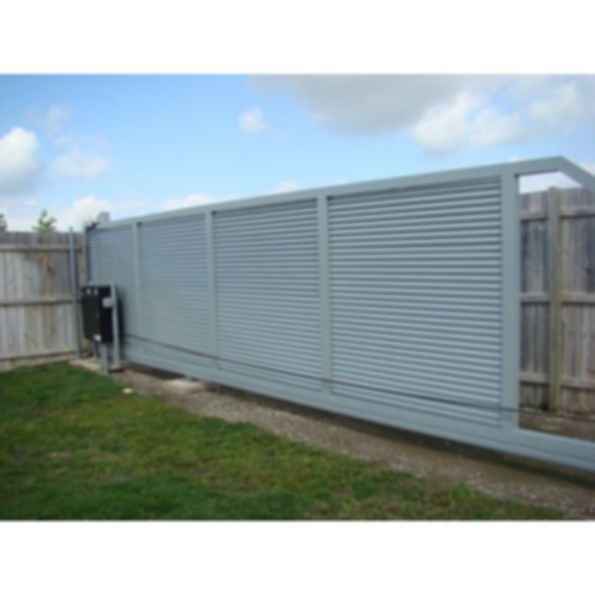 Ametco's engineering department will be glad to work with you in selecting the best system to meet your requirements. 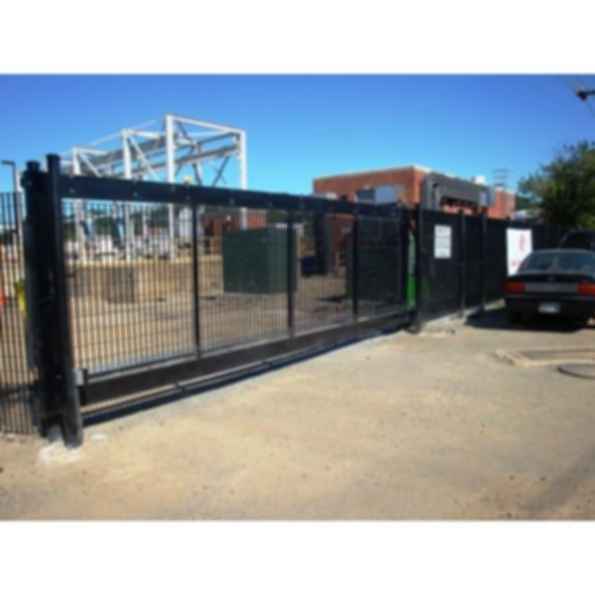 Ametco Cantilever Gates are protected by an extremely effective coating system, giving long life with a touch of elegance. 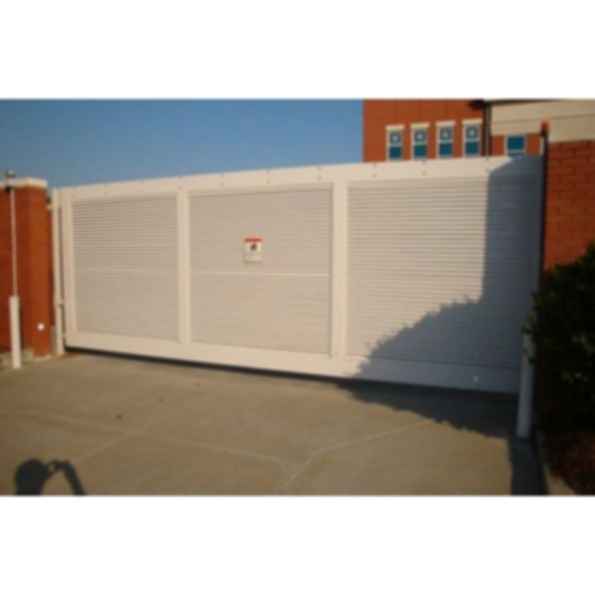 The steel gate frames and infill panels are controlled hot dip galvanized and then coated with thermo hardening powders, which gives Ametco gates protection from the elements as well as increasing its sturdiness and eliminating maintenance. The aluminum and stainless infills are coated with the same thermohardening powders as the steel, but where hot dip galvainizing may leave some drips and rough surface areas, the aluminum and stainless is a much smoother surface. 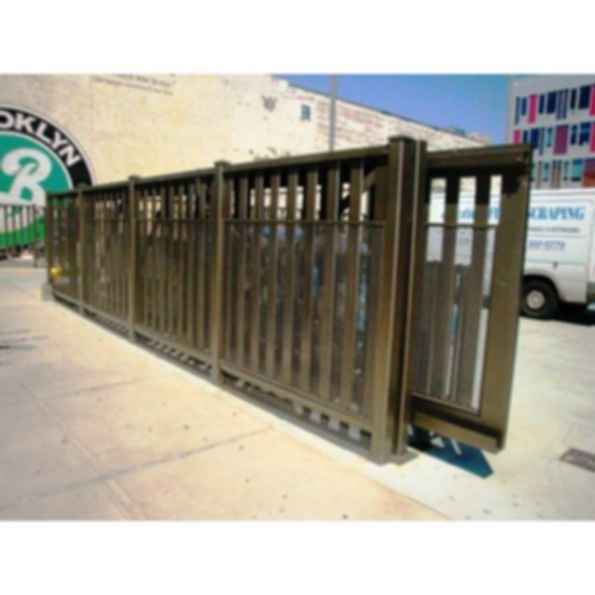 The color gives an extra touch of appeal to the gate, harmonizing with its surroundings. Once you have selected the color from the wide range of choices available, it will endure exposure without crazing or fading.